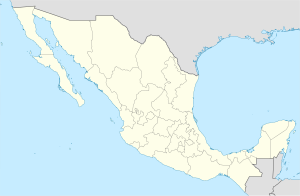 Acatlán de Juárez is a toun an municipality, in Jalisco in central-wastren Mexico. The municipality covers an aurie o 166.68 km². As o 2005, the municipality haed a tot population o 22,540. The first settlers in the region wur memmers o a tribe that wis established in Cocula, Thay wur defeatit bi the Purepecha in 1509. In the year o 1550 the aurie for the first time attained the first level o a municipality, unner the pouer o the viceroy o the New Spain, Antonio de Mendoza. Durin his rule he encountered discontent wi fowk in Zacoalco de Torres, Ahualulco an Ameca. In the first hauf o the 17t century the Augustinians biggit a temple dedicatit tae Santa Ana, kent the day as the "Parroquia de Santa Ana". In 1825 the aurie fell unner the canton o Sayula. In 1858, Benito Juárez, in his journey throu these launds, stayed at the inn in the toun o Acatlán de Juárez, awned bi Miguel Gomez. Durin his short stay, he wis killed at the haunds o the conservatives, an dee'd savin the pastor o the place, Meliton Gutierrez Vargas. On 22 Mairch o 1906, bi decree 1158, the name o the earlier veelage chyngit its name frae Santa Ana Acatlan tae Acaltán de Juarez, an acquired the toun status. Acatlán de Juárez is locatit in the centre o Jalisco state atween the coordinates 20° 14'30 "north latitude an 103° 32'30" wast langitude at an altitude o 1,393 metres abuin sea level. The municipality is bordered on the north bi the municipalities o Tala an Tlajomulco de Zuñiga, tae the east bi the municipalities o Tlajomulco de Zuñiga, Jocotepec an Zacoalco de Torres tae the sooth wi the municipalities o Zacoalco de Torres an Villa Corona, an tae the wast bi the municipalities o Villa Corona an Tala. Approximately 57% o the laund aurie is flat, especially in the middle east, wast an sooth o the municipality wi its characteristic glens. The primary agricultural aurie at some 39% are locatit tae the north an east, wi altitudes o 1,400 an 1,500 m. Thare are some hilly auries accoontin for juist 4% o the laund aurie which lees tae the sooth-east an north-wast at altitudes that reach the 2.200 m.
The municipality belangs tae the hydrological basin kent as Lerma-Chapala-Santiago. Its watter resoorces are providit bi the Acatlán River an the springs El Cajón del Muerto an Charco Verde. In addeetion, several smaw streams flow in the rainy saison, the Hurtado, Presa Chica an Bordo de San Gerardo. The climate is dry wi a dry winter an spring, semi-wairm in the winter saison. The average annual temperatur is 20.5 °C, wi an average annual rainfaw o 714.7 mm an can reach up tae 1.100, wi the hiviest rainfaw in Julie an August. Prevailin winds flow in the easterly direction. Agriculture is the primary activity in the municipality, wi crops such as succarcane, maize, beans, peanuts, sunflower an tomato. Livestock is an aa a main economic activity wi the rearin o cattle, swine, sheep, goats, horse, rabbits an hives. Succar an alcohol production are o note. The toun haes a wide variety o commercial establishments an provides services tae tourists. The form o govrenment is democratic unner the state an Federal elections are held ivery 3 years, which elects the mayor an his cabinet. The current mayor is Luis Carrillo Bueno, an activist o the Mexican Labour Pairty, an wis electit in the elections o 2 Julie 2006. The municipality haes 27 veelages, the maist important Acatlan de Juárez (toun), Bellavista, El Plan, San Jose de los Pozos, San Pedro Valencia, an Villa de los Niños. Hintle o the airchitecutr in the municipality is stane wirk datin back tae the 1850s. The toun contains the "Benito Juárez" airts an crafts museum. A releegious festival is celebratit on 26 Julie 26 in honour o St. Anne, the patron saunt o the ceety. It is customary on 11 Dizember each year tae licht bonfires at nicht alang the streets an aw, tae commemorate the veesion o Oor Lady o Guadalupe tae Juan Diego. Local cuisine includes the Birria goat, Carnitas beef, pork an beans an sweets kent as Encalada flour fritters an ponteduro. Guarapo, a fruit cane juice an fruit punch are common beverages. This page wis last eeditit on 11 Mairch 2018, at 02:12.